I have a plan to race walk 20kms this year. There is a national race at the end of the year which I not only want to complete but also get a decent time in. As exciting as this is for me, it scares me a lot, to the point where I feel my body may have its own way of showing just how scared I am. I took two weeks off training at the start of this month due to a left hip injury. Method of injury is unknown and it comes and goes, however, it always gets worse when I race walk or even before I start race walking. After two weeks of trying to do the right thing, seeking medical advice and doing rehabilitation exercises, the sharp pain continued to hit in my race walk warm up. LEARNING: I used my knowledge of how pain happens in the body to make an informed decision to return to race walking in a relaxed environment at sunset (which was very pretty) and allowed myself to walk at an easy speed and comfortable distance. This relaxed approach allowed me to walk with zero pain, zero pressure and zero worries. Sports psychology is such an important element when training ,as mindset and beliefs can have huge effects on physical outputs in performance and will impact the pain experience. Focusing my attention on my scary goal of walking 20kms was putting huge pressure on myself to perform and train harder every session. This training anxiety increased my nervous system’s resting state, making the pain experience more intense and with the result that those sharp pains to my left hip were especially bad just before a training session. What’s next? Continue walking in a relaxed environment without focusing my attention on the long term goal. Listening to when my body is ready to step it up…. which I know won’t be long. BIGGEST LEARNING: Long term goals are so important for direction, but not so important for focusing attention. Look to make short term goals month to month, which will equal your long term goal, this makes everything seem a lot less scary! 20km here I come! The definition of mobility is “the ability to move or be moved freely and easily.” Our joints have a range of movement considered to be normal and finding ranges of joint motion which are less than what is classed as normal highlights the need for mobility specific exercises. My lower back was always very stiff and rigid which I linked to the source of my ongoing pain. This is why mobility was one of my main focuses in rehabilitation for my back pain. Mobility exercises have helped me come a long way in managing my back pain however it assisted differently to what I once thought. For me, feeling stiff and sore all the time meant that if I tried to do a squat I would end up feeling very restricted and awkward as I would be very careful to keep all my joints aligned properly to avoid re injuring my back. As a result, my back would become very stiff as a protective mechanism and therefore I often felt my back taking most of the load. I believed that if I had good mobility my back would not be stiff and I would have no pain. Increasing my mobility around my hips, upper and lower back over time allowed me to move more freely and with less awkwardness. I was therefore more compliant with my gym program and completed more functional movement with good form and good quality of movement- no this did not happen overnight. Looking back at my previous beliefs I have come to realise what was actually happening based off what I now know and what current literature is saying. Increasing my mobility gave me the confidence to move more and to participate in more strength training as I perceived it was safe, not putting my back at risk of injury. Back pain really is so in tune with your own thoughts and beliefs. I now believe my back is strong and capable and as a result I don’t ever feel like it might just go like it used to and I can do all sorts of things. And i’ll share a secret, I still have days where I over do it and my back feels very stiff however this stiffness is not linked with pain like it used to be. I would like to emphasis the most important part of exercising for ongoing pain is to find movement you enjoy and are feel confident in. Moving is the answer to ongoing pain so find your best move. I love hearing from you so hit me up if you have any comments or questions. Today I want to explore massage and its role in ongoing lower back pain. There is evidence to suggest that massage can be beneficial in reducing pain in chronic lower back pain however the underlying mechanisms are inconsistent across research. My question is, if massage was as beneficial as some studies claim, why isn’t massage solving the chronic back pain epidemic? First of all I would like to highlight the point that everyone’s back pain is different and therefore there are no hard and fast rules or formulas of X minutes of massage over Y period of time to fix pain. We must also consider every massage therapist delivers massage differently, therefore it is difficult to determine the effectiveness of massage for chronic lower back pain, especially in large scale studies. How does massage work? There are a lot of theories out there, some more credible than others including: increased blood flow, increased muscle relaxation, reduced cortisol levels and having a direct impact releasing muscles being over worked. And then there are some other less credible suggestions like removal of toxins however, I’ll leave that one for today. Even though research findings are inconsistent on the true benefits of massage, there is without doubt some benefit especially for reducing temporary pain through stimulation of what feels like knots in the muscle as well as benefits on mental health and the emotional value of touch. However, this is all temporary so is there a place for massage in chronic pain? 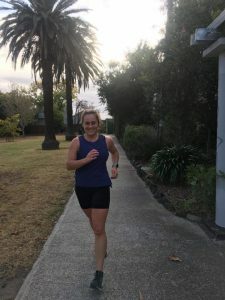 I write this blog as someone who used to get a weekly massage and who would feel severely increased pain and stiffness if I happened to miss a week. I became reliant on my weekly massage and looking back I know it was physiological why my pain miraculously got worse if I missed a week. It took my massage therapist going on a holiday for me to pull my finger out and actually start using some of the equipment gathering dust in my lounge room. 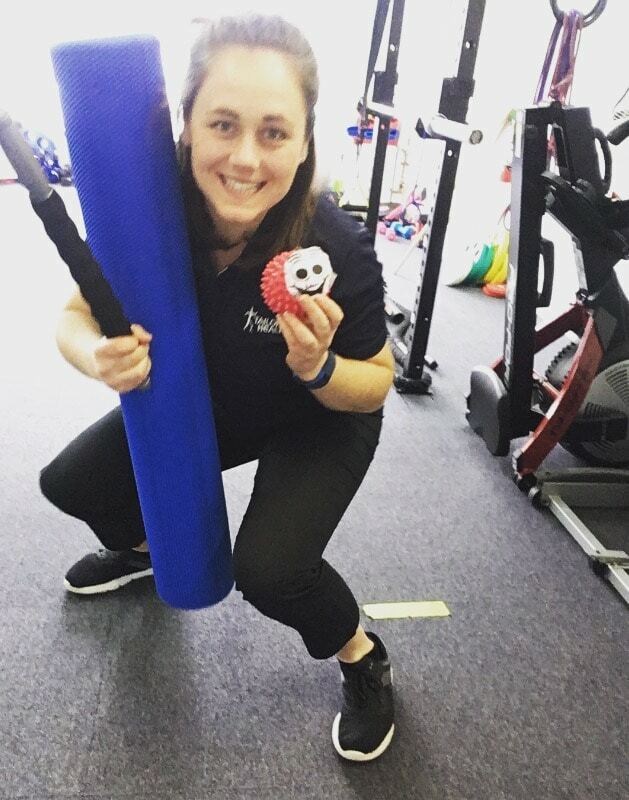 I starting being consistent with my own self-management tools including foam rolling, stretching and using my good mate Spikey. (If you don’t know who Spikey is please look as the Tailored Health Facebook page!) I was more than capable of managing my own pain and not relying on an external source and a much more cost friendly way at that. My personal opinion is that if you feel you need a massage every week or fortnight to fix or help your pain, is this really managing your back pain? I am all for a massage for acute injury and flare ups. I know I still get massages every now and then when I am feeling especially stiff because they do take the edge off, however I am a firm believer in learning how to self-manage. There are so many tools we can use which allow us to experience similar outcomes to massage without relying on another person and at a much lower cost. I find a combination of effective stretching, foam rolling and using my best mate Spikey the massage ball works just as well. Next week I talk mobility and what is involved in an effective mobility routine. Last blog I talked about returning to activities which currently result in a flare up and how finding a baseline is good starting point, but what’s next? Today is all about the next phase and the pathway back to movement. Every heard of the saying fail to prepare, prepare to fail. This saying can be applied to so many aspects in life but today I want to use it to explore return to movement. Pacing is making a plan, to gradually increase one variable of an activity at a time. This variable might be time, repetitions, load, range of movement or any aspect of the activity as long as the change is moving forwards. That means, a plan is in place in order to achieve an end goal and the practice and implementation of the plan is not dependent on how your body is feeling on the day. I know I found this the most difficult part when I had a plan to complete body weight squats without increasing my back pain. I thought I was doing this pacing thing right. I had made a plan to complete squats in my gym program as all the reading I was doing said movement and lower limb strength will only help back pain. However the where I went wrong was I always carried the mentality of ‘I’ll see how I’m feeling at the time’. When the time came for body weight squats my back would miraculously always feel more restricted with increased pain and thus these squats didn’t happen- this is known as fear avoidance. This continued on for months before I realised 5 months had past and I still hadn’t done any squats. The minute I change my mindset of I am doing 5 squats today not matter how my back is feeling is the moment I starting moving forwards. Yes I felt extremely anxious when doing my 5 body weight squats and yes I was worried I would re injury my back, however this never happened. If an effective baseline is chosen for a particular activity, then applying a gradual pacing strategy despite how your body is feeling is the way to move forwards. I have created a few key points to remember when using pacing strategies to return to an activity which currently result in a flare up. Physically rite down a pacing plan. Only alter one variable at a time. Alter this variable by 10% per week. Stick to the plan despite having a good or bad day. This are the rules I stuck to when returning to squatting and now I can do a squat while carrying 50 kgs. I’ve said it before but I’ll say it again. Slow and steady wins the race. In my next blog I talk about manual therapies and where services like massage play a role in ongoing back pain. I get excited by being active. I have always loved netball, running around and pretending like I can do gymnastics, basketball, ballet, parkour, rock climbing or anything involving movement. Experiencing ongoing back pain has resulted in me learning how to pull back from and breakdown movements. 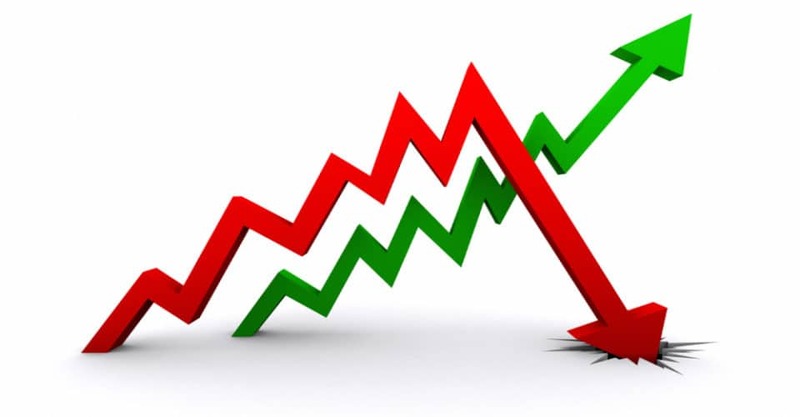 I have used a number of different strategies to increase my fitness after stopping all sport however, I often found myself entering a cycle called the boom and bust cycle. It is very common for anyone who experiences ongoing pain to do more on days when they feel good and less on days when feeling sore and stiff. I know I do. Waking up feeling fantastic and pain free makes you want to get moving and do all of those activities and jobs you haven’t been doing due to pain. I’ll give you an example. One day I felt really good and completed a fun workout in a park including jumping over equipment, hanging from bars and finishing with all out sprints- the sort of stuff that I get really excited by. I did this kind of workout for 30 mins and felt good. I had one rest day with the normal soreness you would feel after exercise and decided to do it again the day after. When I woke up the next morning I could hardly get out of bed as my back has stiffened up so much that moving was the last thing I wanted to do. After this I was inactive for the next week doing only a few stretches in attempt to loosen my back. This is known as the boom (the exercise) and bust (the flare up). For my body the load of two high impact training sessions over 3 days was too much, resulting in a flare up. A flare up, is a sudden onset of increased pain and stiffness, commonly occurring from exceeding your body’s load tolerance. This load or baseline which your body can tolerate is built up over time and also decreases during periods of rest. Periods of inactivity result in a reduced load tolerance, from decreased strength and fitness, therefore flare ups occur more easily. These ‘bust’ periods then occur more frequently and the boom gets smaller and the bust gets bigger. It’s like taking 2 steps forward and three steps backwards. However we know movement is good for ongoing pain so how do we avoid the boom and bust cycle? Starting any kind of physical activity whether it be purposeful exercise or doing chores around the house needs to be built up gradually, especially after periods of rest. But where to begin? Start with finding your baseline. This could be as simple as doing a particular chore for 1 minute or for me it was adding one set of jumping exercise to my normal gym routine. The baseline activity can seem really easy on good days, but the most important part in determining the baseline is being able to complete it on bad days. From the baseline the gradual exposure journey begins, however I will go into this further in my next blog. 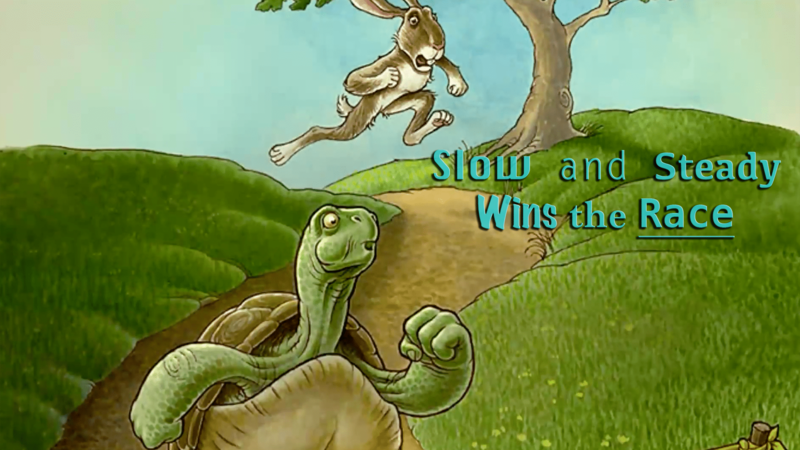 Remember, slow and steady wins the race every time! Any questions or comments? Hit me up! An all too frequent situation when someone talks about their back pain is to focus on what movements they can’t do. This leads to FEAR AVOIDANCE. Fear avoidance is the devil! The fear of re injury, turns into a fear of movement and this is what stops individuals participating in activities and movements. It makes sense how fear avoidance happens. Back pain is flared up with certain movements or activities so this becomes the point of focus when you think of your back. The problem is, these movements become part of your back injury, so that means you have a sore back and you have a sore squat movement and a sore bending to pick up something from the floor movement. It sounds a little silly when you say it like that but that’s how your brain views it. A popular approach to rehabilitating lower back pain is to focus on activating and strengthening individual muscles ie. the glutes or more specifically the glut med. Activating and strengthening your gluteus medius will assist in improving overall glute activation and stability when standing on one leg, however this alone will not fix back pain. The main focus should be on training the movement. Functional body movements completed in a stress free, relaxed way is the key. Once you can train your body to move freely, you start unlocking the fear avoidance behaviors development and the sensitivity to certain situations. It’s almost like meditation for your back. I have a proposition…What would happen if everyone with back pain changed their focus away from what they can’t do and use it as an opportunity to find cool new movements they can do? There are so many cool things we can do with our bodies, all you need to do is find one movement which can be completed stress and anxiety free. Be creative! Today I re-visited my ballet days from 20 years ago as a way to explore new movements. If you feel stuck and need suggestions I am more than happy to help you find new cool movements that don’t flare up your back. Building up a base of movements will give you a safe zone and creates a conditioning experience for your body. Once this is achieved the next goal is training movements which are currently being avoided through gradual exposure. However, this is something I will break down more in my next blog. I would love to hear about any cool movements you can come up with. The brain has been discovered to be plastic. Not Tupperware plastic but neuroplastic meaning the brain has the ability to change and form new pathways over the course of a person’s life. We can train our brain in the direction we desire, hence why everyone is keeping their brains active doing daily Sodukos to avoid deterioration and risk of Alzheimer’s disorders. The plastic nature of our brain can result in negative outcomes however, like in chronic pain. Our brain rewires based off our own experiences and if these experiences involved danger, damage and risk the brain insures you respond in a way that is protective ie. Pain and fear avoidance. Let’s use the back as an example. Any past experience associated with your back contributes to the way your back is today. In my own example, my brain remembers I hurt my back on a rowing ergo so every time I sit on a rowing ergo my back starts to ache and tighten up- that’s before I even start rowing. Kind of annoying really knowing my back should be able to tolerate the load since the injury was years ago and I can run, jump and squat, meaning my back can definitely tolerate the load of using a rowing machine for a few minutes. This demonstrates the power of the brain and how this past experience has created strong neural pathways to prevent me from rowing in the future. So how do we change this? We know how brain is plastic so surely we can reverse these strong negative ties caused by our previous experiences. I propose two actions to help do this. Start to associate your back with positive experiences. Think of all the awesome things you do where your back feels good. Eg. A social activity where you are distracted and don’t notice the pain or a purposeful activity aimed at relaxation or pain relief like massage, spa or a heat pack. If you start to associate your back with all of these positive experiences, new neural pathways will be created and strengthened which can only improve future outcomes in back pain. Desensitise the situations you associated your back negatively towards. De-sensitising could be as simple as taking a deep breath to increase relaxation prior to the activity, using gradual exposure, playing calming music or doing the activity with a friend. In my case, I used my best mate Spikey to massage my back muscles prior to using the rowing machine and gradually built up my time from 30 second intervals- which I have now built up to 10 minutes with zero back pain. Make the most of the plastic nature of our brain and start flooding your brain with positive experiences associated with your source of pain- you can’t change what has happened in the past but you sure can take actions to control the future. Please hit me up if you have any questions or comments. This stuff fascinates me and would love to chat to anyone who feels the same. A big part of taking control and managing my own ongoing pain was to understand how pain occurs from a physiological point of view. Opposed to what I once thought, level of pain and severity of injury do not have a linear relationship. One person can have a disc buldge in their lower back and not experience any symptoms and then another person can have exactly the same disc buldge and be experience debilitating ongoing chronic pain- injury is not equal to pain. 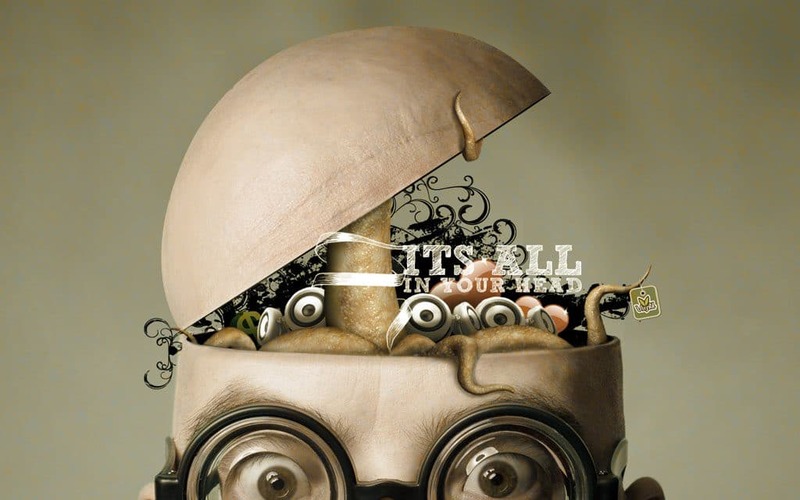 Have you ever heard that saying: ’It’s all in your head’? When it comes to pain, it’s true! The sensation of having pain is all in your head. This doesn’t mean pain isn’t real. Pain is so real and very present but the truth is, it’s all in your head. We know skeletal muscle is always adapting to changes in the physical environment however, if a mechanical stress exceeds the muscles adaptability, an acute injury occurs. Exposure to a new mechanical stress is how acute injury occurs and often results in muscle cell membrane damage. This leaves the muscles more vulnerable to increased damage and in order to prevent further injury the body goes into defence mode. This results in inflammation, pain and stiffness all to protect and begin the repair process at the site of damage. This all seems very biological but it is important to understand that the body’s repair and protection systems result in the physical symptoms of inflammation and pain at the site of injury opposed to the injury itself. As a side note let’s take a moment to appreciate how good our bodies are at repairing themselves. When you break a bone in your arm, you might be in a cast for 6-8 weeks. Why is it then that a strain in the back can result in years of chronic pain? Is the back still strained after all these years? In chronic pain, the acute injury process becomes over sensitised. Even though the cell membrane is no longer damaged there continues to be protective mechanisms in place. The brain detects the inflammation and sends out the pain response to the site as it would with any acute injury. This is where chronic pain develops, escalated by our own conscious protection thoughts ie. ‘I can’t bend down as I have a sore back mentality’-(see lasts weeks blog!) There is no such thing as pain receptors. The brain detects information ie. Inflammation and responds with a pain message. If you can change how your body interprets these signals then you can change how it responds. I will talk about this next blog and how the experiences we have influence on the pain we feel. In order to explain a version of the chronic pain cycle, I am going by start talking about how helpful, friends and family are when their loved ones are having difficulties. In struggling with my ongoing lower back pain, I noticed how friends and family around me empathised and wanted to help in any way they could. However, how do you tell your loved ones, that by helping you, they are not actually helping you get any better? -Huh? How does that make sense? Now this doesn’t apply to everything but, I will share with you my personal experience and I am sure anyone who has experienced chronic pain can also relate. I’ll give you an example. I occasionally helped my mum carry the shopping from the boot of the car to inside the house. A relatively easy task. However, once my mum knew I was having ongoing back pain, she would insist on carrying the one semi-heavy box full of fruit and vegetables and leave me carrying a cartoon of eggs. This is just one example, however if this principle is applied to a number of activities across the day in order to “PROTECT” the back, this results in an overall reduction in physical activities. Continuing this for a period of time has two outcomes. 1: Physically, the body becomes deconditioned, losing muscular strength from doing less and resulting in the body having a lower load tolerance. 2: If someone is saying, “you CAN’T lift that” over and over, then it will rub off on your personal beliefs of your own abilities. This ultimately results in you too believing you CAN’T, causing you to physically not be able to complete the task anymore. These outcomes feed in the chronic pain cycle. Your back hurts >>>>> you avoid loading activities to protect your back >>>>> resulting in increased levels of inactivity >>>>> you become more deconditioned >>>>> your pain gets worse >>>>> you do even less and round you go again. When my lower back pain was at its worse and I stopped all the sport I was playing, I also ensured I wasn’t doing any movement which may have resulted in a back injury. For example vacuuming, making my bed, carrying heavier shopping bags and I avoided bending where possible, all to PROTECT my back. With all of this preventative action, my back did not get any better, surprise, surprise. So now my next question is, how do you keep doing activities and tasks which involve bending, lifting or anything that makes you think twice, due to visions of getting a back injury? Now, the below advice is only relevant for chronic pain where there is no acute physical injury, with pain present for > 3 months. In my experience, not once did I re-do a back injury from doing daily tasks around the house involving movements of bending, lifting and twisting. The only time I did re injure my back was when I wasn’t concentrating, moving too quickly or doing something silly. If there is a task which you would normally complete, however feel worried about re injuring your back, think, I used to do this all the time without injuring my back, if I focus on the movement and bend my knees correctly I will be fine. You need to give yourself CONFIDENCE that you CAN and focus on the task at hand! I stopped running in circles the moment I realised I CAN! I can carry that box of fruit and vegetables from the car and I can vacuum.. Great, now I have no excuse to not do my chores!! Beat the chronic pain cycle and say I CAN do it! I just need to take my time, concentrate and stop running in circles! In my next blog, I will explore how the brain contributes to why a back that has no physical acute injury can be in so much pain. Until then, happy moving everyone. Feel like you can relate? I would love to hear from you. #2: HOW IT ALL STARTED? Chronic pain. Just the word ‘chronic’ makes me cringe. The definition of chronic is longer than 3 months. At the age of 18, this concept didn’t cross my mind. I had multiple back injuries, extending well over a 3 month period but there was no way I was labelling myself as chronic as that age. So, how did this all happen? Initially, I hurt my back at the age of 18 when I joined a rowing team. I was on an ergo in the gym when I felt this almighty pain shoot through the right side of my lower back. I could hardly move- I wasn’t sure I would be able to get myself home. After 5 minutes, I eventually worked out how to stand up. This was like no other injury I had had before- this scared me. After a couple of days the intense pain wore off and I resumed life as normal with a slightly unhappy lower back. Since the injury I have never returned to rowing as I was too scared that I would redo the same injury. This didn’t bother me too much though, as netball was my number one sport. What concerned me was that in that same year, I re-injured my back 3 times during games of netball. This bothered me. Over the whole year I sat out for 9 games of netball and played another 8 half games. My lower back was stopping me from doing the thing I loved to do the most. My team mates would ask me, what is wrong with your back? I didn’t know. A couple of diagnoses were thrown around by health professionals like facet joint jam or muscle strain, but nothing definite. After every re-injury I would seek professional help, where I would be given stretches, a quick massage and I was sent on my way. The line, ‘You’re young and active. You will be fine in a few weeks’ was often mentioned. The only problem was I wasn’t being active when my back was injured. How could I convince myself to do exercise when I had a back injury? My immediate reaction was to rest, protecting my back from any further damage. I planned to strengthen my back and core when the injury healed and the pain left. However it never left and therefore I continued to wait before doing these exercises. Many years later, after undergraduate and master’s qualifications in exercise sciences, seeing a number of health professionals, as well as my own self-directed research, I can see how very wrong I was. One day google pointed me in the direction of chronic lower back pain- a criterion which matched my story to a T. This is the point I stopped treating my lower back as an injury which needed to be diagnosed and rested, but as chronic pain, which needed to be managed. This marks the beginning of my self-management journey. A journey, like any with highs and lows and one I will be exploring more in future blogs. 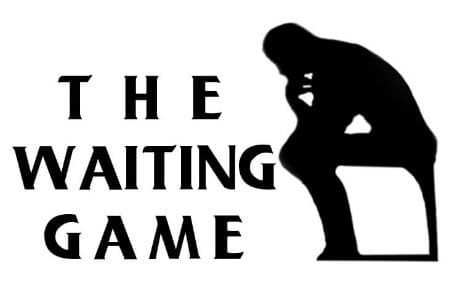 For today, I want to make the point that accepting I had chronic pain allowed me to stop playing the waiting game. Instead, I was able to get on with other aspects of my life, while my back pain was still present. I can compare it to waiting for good weather to do something fun. The perfect day may arrive, but for some reason you wait for a sunnier day. So why not start today! 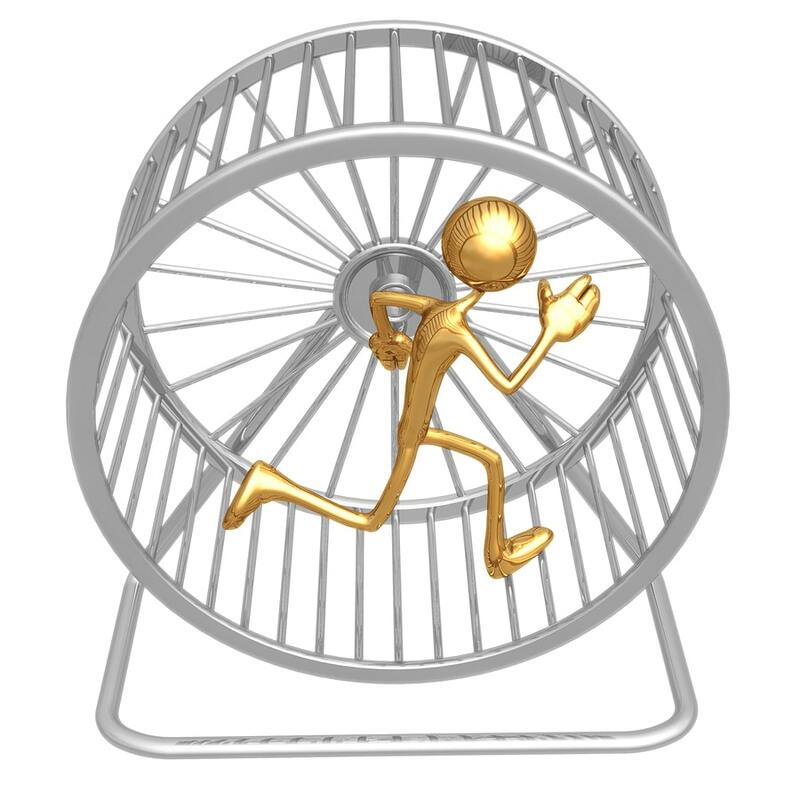 In my next blog I will talk more about the chronic pain cycle and how this circular motion had me running in circles for a very long time. Feel like you can relate to my story? I’d love to hear from you. Belinda is Back Moving and feeling great!